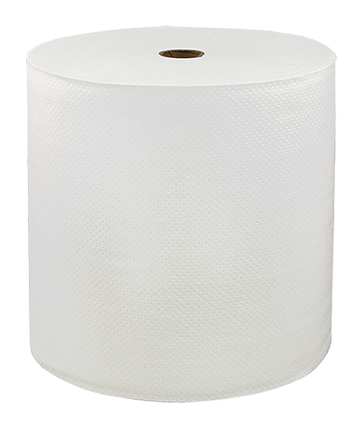 This 7” x 600’, 1-ply, fully embossed hard wound roll towel delivers greater strength, absorbency and quality while being economically priced. LoCor products reduce packaging waste while providing higher capacity where it is needed most – the washroom. The LoCor hard wound roll towel is truly a superior restroom solution.